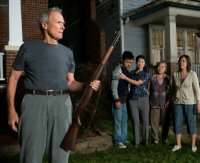 Clint's (alleged) last acting role is a parable of America's place in the modern world. He plays a Korean war vet, whose wife has recently died, and whose neighbourhood is being 'invaded' by other non-white ethnicities. A failed gang initiation by his Asian neighbour leads to growing involvement between him and his neighbours, even as assorted nasties try to muscle in on the action. Dirty Harry has one last mess to sort out. Nothing quite like an American shotgun. 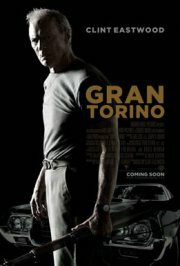 Produced by Matten Productions, Double Nickel Entertainment, Gerber Pictures, Malpaso Productions, Media Magik Entertainment, Village Roadshow Pictures, Warner Bros.